You’re about to embark on an international trip. Besides figuring out what you’re going to pack, you might be wondering how you’re going to stay in touch with people back home. A global SIM card is a good choice. And installing it is as easy as inserting it into your cell phone. Unfortunately, what happens after that can leave you surprised, or worse, out significant money. To help take the surprise out of global SIM cards, here are five things to ask yourself before you purchase one. 1 Is Your Smart Phone Unlocked? Luckily, the newer smart phones are already unlocked thanks to a bill signed by Obama last year. If you have an older phone, you may need to contact your service provider to have it unlocked. Also, if you have an older phone, check to see if it supports a SIM card (e.g., iPhone4 with Verizon or Sprint, which are CDMA phones rather than GSM). Unlocking these phones won’t provide you with any coverage or cost-saving benefits when traveling overseas. 2 Does Your Smart Phone Work on a GSM Network? Because most international countries have adopted the GSM network standard, you are going to need a GSM cell phone. Fortunately all newer smart phones support GSM and you can simply switch out the GSM SIM card. You can do this by inserting a paperclip or earring stud into the tiny hole on the side or top of your phone. Smart phones take different SIM cards though, so before you buy, make sure you are buying the right one for your phone. The iPhones 5, 5C, 5S, 6 and 6Plus take a Nano SIM card, while the iPhone 4S takes and Samsung Galaxies take a Micro SIM card. If you have an older phone that only uses CDMA technology or only works on U.S. frequencies, don’t bother installing a SIM card – it won’t work overseas. 3 What Kind of Calling Do You Want While Traveling? Incoming Calls – Depending on the phone number of your SIM card (they all come with phone numbers), and where people are calling you from, they may be paying for an international call. If they don’t have an international phone plan, they won’t be able to call you at all. Select a global SIM card that comes with a U.S. number and then your family and friends can call you without incurring additional charges. Some global SIM cards offer free incoming calls and text messages. But take note: this is country-specific and not all countries are free. Check the call charges for the countries you want to visit so you aren’t caught surprised by unexpected charges. Country Rates and Local Calls – Global SIM card companies can offer very competitive rates but these may only be available in certain countries. Check the countries you plan to visit to see what the actual rates will be. And keep in mind that with a global SIM card, a “local” call isn’t necessarily local. You may have a U.K. number, which, depending on where you are (e.g., Italy), will be a roaming call and not a local call. Overall, look for a global SIM card that offers low calling rates, free texting, and coverage in a large number of countries. 4 Do You Use a Lot of Data? Not all global SIM cards allow data, but if you choose one that does, just know that smart phones can use data in the background – downloading your latest email, performing software updates, etc. – and your data usage can skyrocket. Your bill can skyrocket as well if your SIM card accumulates charges on a per megabyte basis. 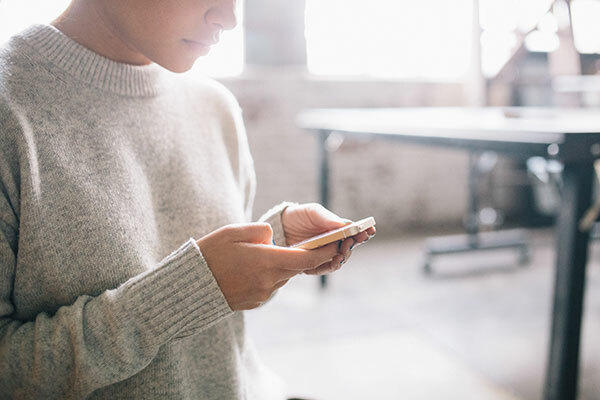 If you need an Internet data connection for emails, GPS, or your favorite apps, consider renting a pocket WiFi hotspot with unlimited data and using a global SIM card that restricts data usage for your calling and texting needs. 5 Is Your SIM Card Prepaid or Postpaid? SIM cards can be either prepaid or postpaid. With a prepaid card, you top off to a certain amount and are limited to that amount (until you top off again). A postpaid card allows more freedom, but also more risk of overspending. We recommend selecting a service provider that offers online access to your account so you can easily check your usage, like the short code offered by Wireless Traveler. By dialing 187 from anywhere in the world you receive a free text message with your current balance.